Each morning we offer all whole student body the option to be dropped off between 7:30 and 7:55 AM. There is no cost for this service! In addition, we offer an after school program until 6 PM each day. The fee is $7 per hour (2018-2019 school year). Eighth Graders work together with to create a compilation of their years at the academy! They present their yearbook to all of the teachers and staff the week before graduation. Each grade dedicates an hour their time to de-stressing and socializing. Students have the option of the club they wish to join. Every Friday afternoon, Kindergarten-4th Grade break off into their groups for clubs. The clubs offered for these grades are: Zumba, Arts and Crafts, and Chess! 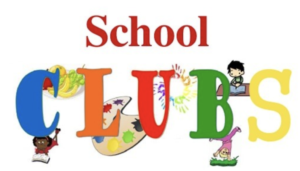 While Wednesday and Friday afternoons are dedicated to clubs for the 5th-8th grade students. The clubs offered for these grades are Arts and Crafts and Chess! This year our students in grades 3rd-8th have the opportunity to partake in the Drama Club! The students will be staring in Elf Jr.! The show times and dates are: December 14th, 6:30pm, December 15th 2&6pm, and December 16th at 2:00pm. Students in grades 6th, 7th, and 8th grades who are eligible to become A.S.K. members must complete an application, submit two letters of recommendation from their subject teachers, and complete an essay of at least 150 words to explain why they want to be a member of the A.S.K. program. All students preparing for Confirmation perform at least 30 hours of community service in and outside of the school. St. Peter Catholic Academy and St. Mary Mother of Jesus Parish have a successful program. For more information, please email smmjsports.gmail.com. The Teaching Artists from Stages on the Sound will teach students in grades 4, 6 and 8 over a 15 week period from October until March, culminating a final presentation of the students work. The 4th grade will be working on stop-motion animation films. The 6th grade will be writing their own plays to be performed. The 8th grade will be studying and acting the works of William Shakespeare. Each day after lunch, all classes spend 20 minutes reading a book of their choice or having a teacher read to them.